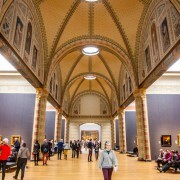 Skip the line at the Rijksmuseum and gain direct entry thanks to your e-ticket! 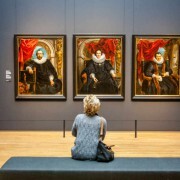 Admire over 400 masterpieces by great artists such as Jan Steen, Frans Hals, Vermeer and Rembrandt. 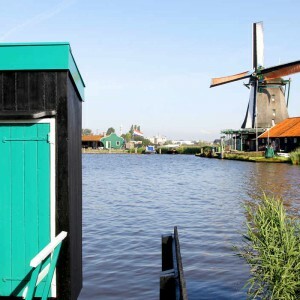 See the beautiful doll’s houses, a wealth of silverware, and much more. Treat yourself to a wonderful day in one of Amsterdam’s grandest museums, the Rijksmuseum, located in the heart of the city. 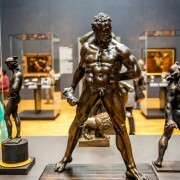 Skip the line and indulge in a world of classic art. 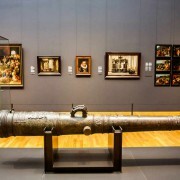 The Rijksmuseum’s internationally revered collection features some of the nation’s most famous works, including historic art by Vermeer, Frans Hals, and perhaps most notably Rembrandt’s ‘The Night Watch’, which takes pride of place in a beautifully lit hall allowing visitors to enjoy every tiny detail. 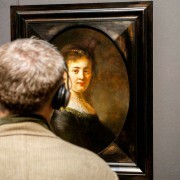 Visitors can expect much more than just paintings by Dutch Masters from the Golden Age. 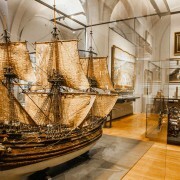 The Rijksmuseum’s expansive, evocative collection also includes Delftware, sculptures, archaeological artefacts, clothing, Asian art, prints, items from Dutch maritime history, and many other culturally significant objects, all combining to vividly retell 800 years of Dutch history within a global context. And naturally, the collection isn’t frozen in time – new items such as a Mondrian-inspired dress by Yves Saint Laurent dating from 1965 can also be seen. 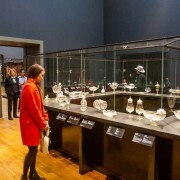 With 170 objects from 60 collections in China, Japan, India and Batavia, the exhibition “Asia > Amsterdam” tells the story of the excitement created by the Asian treasures that were shipped to Holland in the Golden Age. 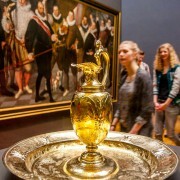 Lacquer work, ivory, silver, silk, ebony, jewelry, and enormous quantities of porcelain poured into Amsterdam, the then bustling ‘capital of the world. 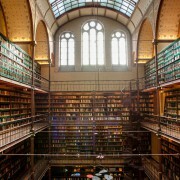 Rijksmuseum Museumstraat 1, 1071 CJ, Amsterdam. – Benefit from direct entry with your e-ticket. 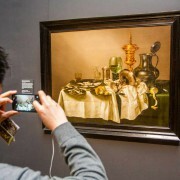 Simply show the barcode on your mobile voucher to a member of staff as you enter the exhibition. No printing necessary! 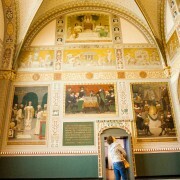 – Opening hours: 09:00 to 17:00 daily, every day of the year. 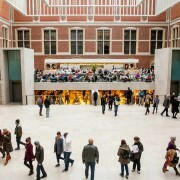 – The Rijksmuseum’s ticket desk closes at 16:30. 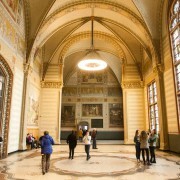 – You should arrive before 11:00 or after 15:00 to avoid having to wait if the museum reaches capacity. – Taking photographs or video recordings is prohibited. 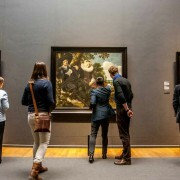 – The Rijksmuseum is accessible to visitors with limited mobility and those accompanying them. Please ask a member of staff if you require a wheelchair or walker. Mobility scooters are not permitted inside the museum. 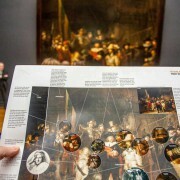 – People who are unable to independently navigate through the museum may bring one companion with them for free. You can pick up an entrance ticket for a companion at cash register 1. – Tickets cannot be exchanged or refunded.